Seifert says the vessel is awaiting clearance to enter the port, and once it does, "the recovery and assessment efforts of the cargo can proceed in a safe environment." Nobody was hurt, but the vessel's 22 crew members had to evacuate the ship as the blaze grew and the weather turned ugly. The original plan was to tow it to Halifax, but Seifert said on Jan. 23 that it would instead head southwest "towards more favourable weather conditions." 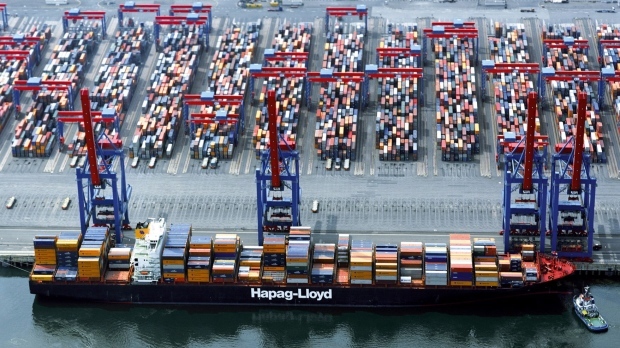 Hapag Lloyd has also confirmed all cargo in the ship's first 12 bays, and some of the cargo in the two holds beneath those bays, was affected by the fire. But the company says it can't make a precise estimate of the damage until the ship is in the port. More fire-fighting tugs en route to container ship burning off N.S.